Montway's blog Tips-Tricks Should You Use a Local Auto Transport Company or a National Company? When you need to move your car from one state to another and search for an auto transport company, your results will probably include companies with hubs across the nation along with a handful of local auto transport companies. Your first impulse might be to opt for the local company because shopping local feels good, but before you book, consider whether local really means better when your vehicle is the cargo. And especially if you’re moving your car across state lines, you’ll need to look for a company with this type of large-scale experience. There are a number of reasons that an auto transporter that operates nationwide is often the better choice in that scenario, and this post lays them out in detail so you can make a smarter decision. 2 Who are the local transporters? 3 Do local auto transport companies offer lower prices? Shipping cars and trucks is big business these days. It should come as no surprise that there are thousands of auto transport companies vying for your business, locally and nationwide. In some cases, these companies are working with networks of thousands of truckers. In others, small independent carriers with just one or two trucks hang out a shingle. As is the case in any industry, the auto transport world has its share of bad apples. These are companies that over promise and then under deliver or simply leave customer service out of the equation. One benefit of working with a larger national auto transport company when you move your car from one state to another, or even from one city to another, is that bigger companies have more reviews. It’s easier to get a feel for whether a company gets the job done, respects its customers, and can handle special requests when you can quickly scroll through hundreds of testimonials. Who are the local transporters? As noted above, most companies operate with just a handful of trucks. If you’re looking for a local company to ship your vehicle, these mom-and-pop auto transporters are who you’ll find. There can be something comforting about working with a company whose home base is nearby. Maybe they’re a family-owned and operated company, too. And it’s nice these days to be able to walk into a physical office to get your quote. Will the local company get your car where it needs to go? More than likely yes, but that shouldn’t be your only consideration. The more important questions to ask are whether it will get there when you need it and will they be able to deliver it somewhere that’s convenient. The answer in both cases might surprise you. 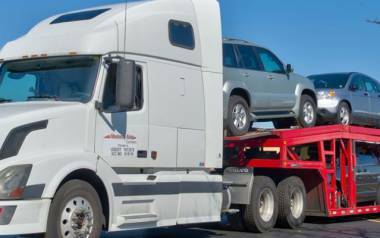 Large auto transport companies that operate nationwide work with heavy-duty trucks that carry a dozen cars at a time whereas local companies may use much smaller trucks or even tow rigs. Companies using tow trucks can move cars short distances but aren’t the right choice when you move your car from one state to another. Some local companies operating smaller car carriers (or single vehicle flatbed carriers) can get your vehicle from Point A to Point B, but service will be slower. A lot slower! That’s because fewer trucks equal fewer routes serviced, and fewer cars on each truck mean fewer ship dates are available. Do local auto transport companies offer lower prices? The quick answer is sometimes, but the caveat is that if something seems too good to be true it usually is. It’s not uncommon to see small shippers advertising cross-country ship prices of $500 or even less, but the chances you’ll actually get that advertised rate are slim. That’s because transporters spend more time on routes that make money. That deeply discounted rate will only apply to specific routes, and they’re not going to be the routes that see a lot of action. You might book, only to end up waiting months for a ship date – if you get one at all. On the other hand, some local transporters charge more for cross country shipping because they do less of it and can’t do it as efficiently as larger companies. Be cautious when you see local auto transport companies offering to move your car from one state or city to another for $500. Be especially wary if the company tries to charge you a deposit without a ship date and the booking contract has a no refunds, no exceptions clause. They may not be able to actually deliver for that price, which means you’ll be left scrambling to find another transporter, and you’ll be out whatever deposit you paid. You might even end up paying another company a lot more for expedited service if you have a rigid timetable. 24/7 customer support – Local companies turn off the lights and lock the doors when dinner time rolls around, but large auto transport companies have staff on hand around the clock to give customers quotes, information, and updates about vehicles en route. There is always a representative available to answer your questions or reassure you that your car will get where it needs to go on time. Faster pickup times – When an auto transporter has haulers in every major city (and many of the not so major ones), you get your ship date more quickly and may get your car more quickly, too. More choices of pickup and drop off locations – When you need to move your car from one state to another, you probably don’t want to have to take a road trip just to get to your pickup spot. Auto transport companies that service the whole country will give you more pickup and drop off options. Better insurance – Transporters that service all 50 states are more likely to have great insurance because they have to meet the requirements of all of them. More routes – Shippers choose the routes they do for a lot of different reasons, but all you need to know is that more routes can mean lower prices for the customer. Companies work hard to make each trip as efficient as possible to minimize fuel costs, time spent in traffic, and detours. When there’s a route near you, you’ll get a better price. Bigger trucks = lower prices – Another reason nationwide companies can offer customers reliable service at competitive prices is that they’re filling larger carriers. A trip with a fully loaded 12-car carrier is more profitable than moving two or three cars. Companies can charge less per vehicle and still come out ahead. 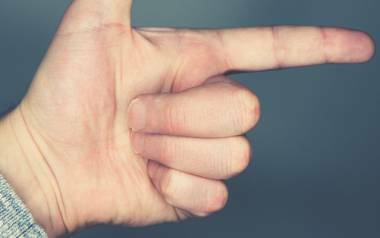 There’s nothing wrong with bargain hunting, but remember you get what you pay for. A deal that seems too good to be true probably is. Get plenty of quotes from transporters before you book, and remember that those quotes will be influenced by a number of factors. Larger vehicles usually cost more to ship than smaller ones. Shorter trips will cost less than moving your car from one state to another. The pickup and drop off locations can impact your quote, and if you need your vehicle to reach its destination ASAP, you’ll pay a premium. Knowing a company’s policies and how they operate before you book is a good idea. What do you need to do to book? How is your ship date determined? Will they allow you to leave cargo in your vehicle? What will you need to do when your car is delivered? These are all questions a company representative should be happy to answer. Large nationwide auto transport companies will have multiple options when it comes to carriers. For instance, you will be able to choose between shipping a car on an open carrier and shipping it on an enclosed carrier. Open carrier shipping is the norm and the cost-effective option, but if your car is especially valuable or particularly delicate, you may want to pay extra for shipping in an enclosed carrier. Reviews aren’t everything, but if you find a company that has good online reviews and has been recommended by a friend or family member, you can’t go wrong. It pays to be picky. You’re putting one of the most valuable assets you own into their hands, after all. 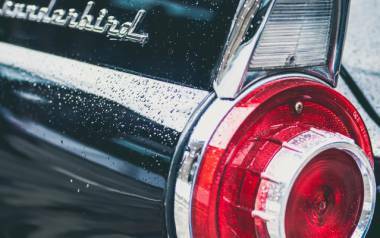 Many auto transport companies move thousands of modern sedans and SUVs but have little or no experience transporting classic cars, luxury vehicles, or inoperable cars and trucks. If your vehicle requires special handling or you just want white glove service, make sure the auto transport company you choose has a track record of delivering extras. Choosing an auto transport company isn’t always easy, but resist the temptation to book with the guy around the corner because he’s in the neighborhood. The first thing you should do when you need to move your car from state to state should be researching and then getting lots of quotes from different transporters. The more information you have about the auto transport companies that service your area, the better equipped you will be to make a smart choice.